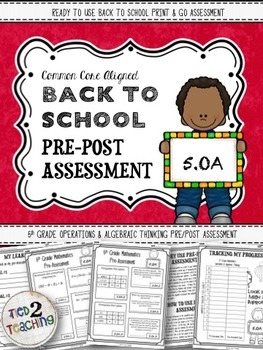 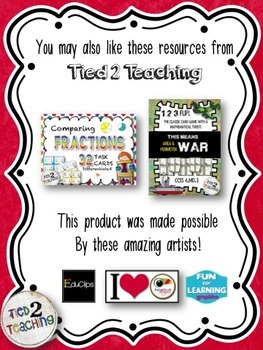 This Back to School Common Core Pre/Post Math Assessment for 5th Grade (OPERATIONS & ALGEBRAIC THINKING) comes with one carefully designed pre/post assessment aligned to the 5.OA common core state standards. 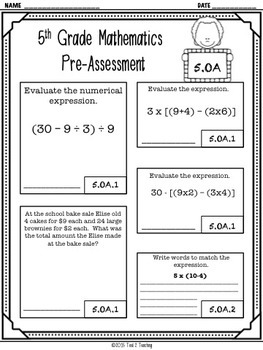 This 10 question assessment covers all 5.OA standards and can be used as either a pre-test a post test or both! 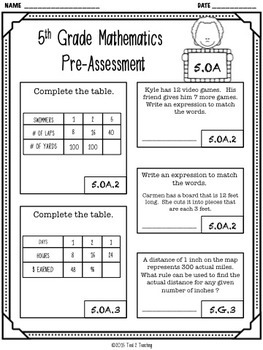 In addition to the test, you will also receive a TRACKING MY PROGRESS student data sheet for data notebooks as well as a MY GOALS student sheet that helps students to take more ownership of their learning!